Mayor of Saint Pierre la Palud, Mr. Morgan Siffredi-Griffond, and Mrs. Françoise Ritter and Claudine Potok, National Education Inspectors, photographed with the ATP trainees and IIEP staff in front of the Saint-Pierre-la-Palud primary school. The annual Study Visit is a special highlight of training at IIEP-UNESCO. This year, educational planners from 16 countries travelled to Lyon, France, to get an inside look of the country’s second largest education region (or known by its French term Académie). Organized by the French National Commission for UNESCO, the visit also included a day trip to neighbouring Geneva, Switzerland. During five days, from 24-29 March 2019, the trainees participated in plenary sessions and visited local schools. At the end of the trip, the trainees presented on main characteristics of the French education system and lessons learned. “While the trainees at IIEP spend several months studying in Paris, it is rare for them to actually see how educational planning is implemented in France. Thanks to the warm welcome of the Académie de Lyon and the annual support of the French National Commission for UNESCO, they were able to learn so much about the French – and Swiss – education system first hand,” said Muriel Poisson, lead organizer of the programme of the visit for IIEP. He was also impressed with the interactions between students and teachers. In one primary school, he was struck by the teaching methods of one teacher in particular. “He used real life examples to explain a mathematics problem to 4th and 5th graders in a rural school. Back home, the teacher would have just given the numbers without thinking of real life application,” Shukrullah said, adding that he hopes the new curriculum underway in Afghanistan can embrace this type of teaching. Each year, the Study Visit addresses a specific theme in planning. This year’s trip was dedicated to equity in education. 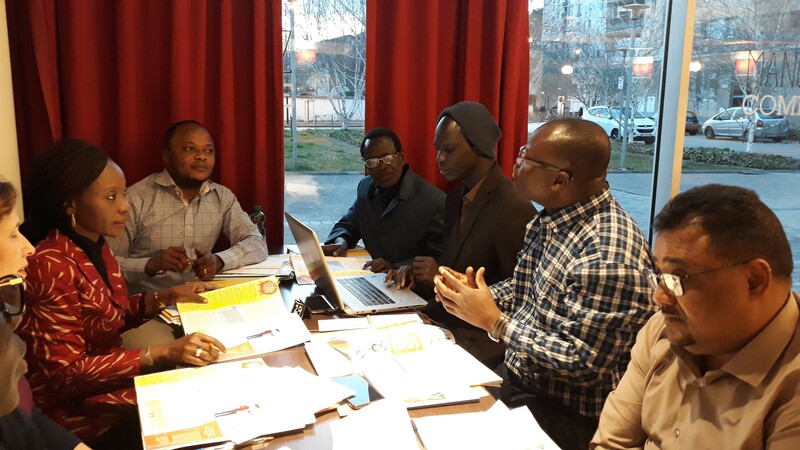 The participants learned about priority education policies in Lyon and Geneva, measures to prevent school failure, and initiatives to promote inclusive education. This included learning about the Ministry of Education’s Localized Units for Inclusive Education (ULIS), which is part of the government’s approach to diversifying modes of schooling and providing more opportunity to students with disabilities, as well as a programme to integrate non-French speakers into mainstream education. The visit also had a focus on education in rural areas and the types of policies and resources needed to support them. The Study Visit is an important part of the IIEP training programmes, specifically the one-year Advanced Training Programme and the six-month Education Sector Planning course. This year represented the 51st trip in IIEP’s long-standing collaboration with the French national commission to UNESCO. IIEP also appreciates the warm welcome received from the Département de l'instruction publique, de la formation et de la jeunesse in Geneva, which is the Department of Public Education, and its Educational Research Division (SRED). IIEP trainees studying different areas of the education system in Lyon, the second largest education region in France.